Low bed frames from our wood beds range have proven very popular with customers. Many select them due their modern design and low appearance. Our space saving wood beds have been designed for those bedrooms where there's little space, including attic and loft bedrooms. On these beds, the mattress sits on top of the bed frame, rather than within it, which efficiently reduces the overall bed size. The Low Tokyo Space Saving Bed also features a small headboard which keeps to the low nature of the bed, while adding extra support. 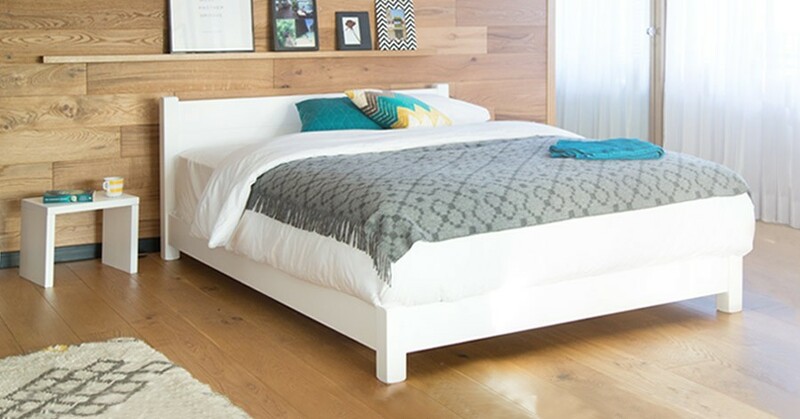 This is a stunning modern look that suits the contemporary style seen throughout our wood bed range. Why Choose A Space Saving Bed? The Low Tokyo Space Saving Bed is a great choice for loft and attic conversions, the low height means it fits perfectly under a sloped ceiling. Because this is a space saving version of the Low Tokyo Bed, it also helps to open up the room, making it feel more spacious. This efficient space-saving design also allows for two beds to be pushed together without any gaps. This is excellent for guest bedrooms as you can offer two small beds, or a larger one if it’s required. 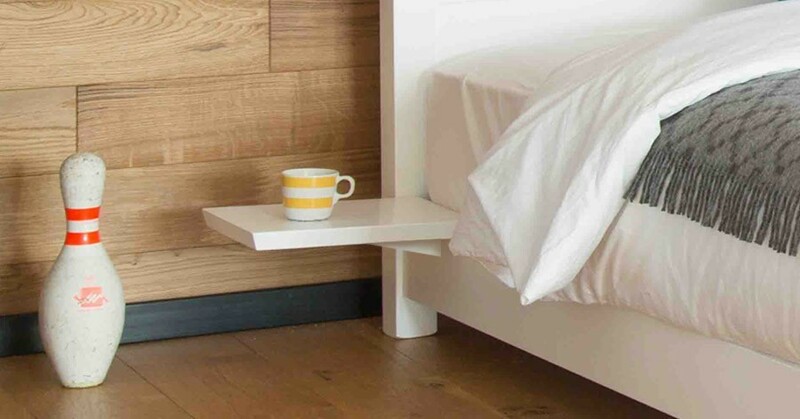 The Low Tokyo Bed's low height also means you can build your own storage shelves above it, further saving space. 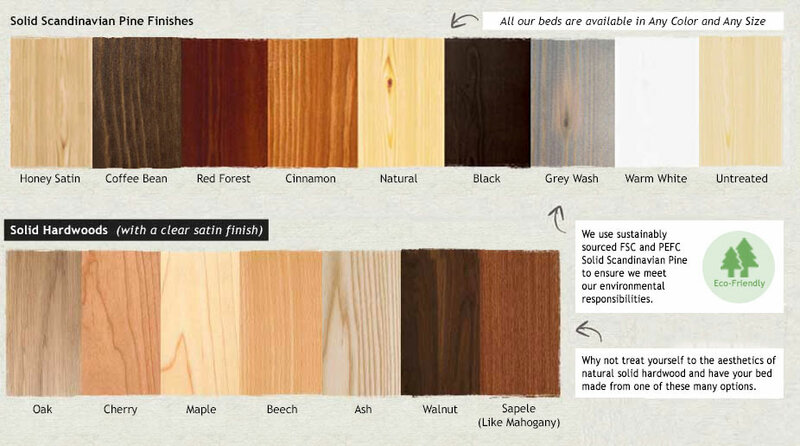 Each and every one of our wood beds is handmade to order here in the UK. This allows us to offer flexibility on your order, including bespoke options where required. For example, if you wish for a higher headboard, we will be happy to help you with this. We also offer a range of different color and solid hardwood options so you can choose the finish perfect for your bedroom. The Low Tokyo Bed looks especially stylish when made with an Oak or Walnut hardwood option. 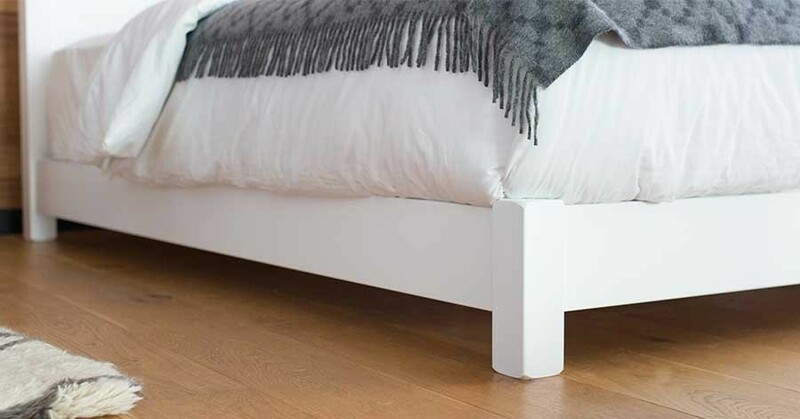 Using mortise and tenon joints, this space saving bed frame is of a quality that you can trust and even comes with an 11-year structural guarantee.